Bath salts are water-soluble, usually inorganic solid products designed to be added to a bath. 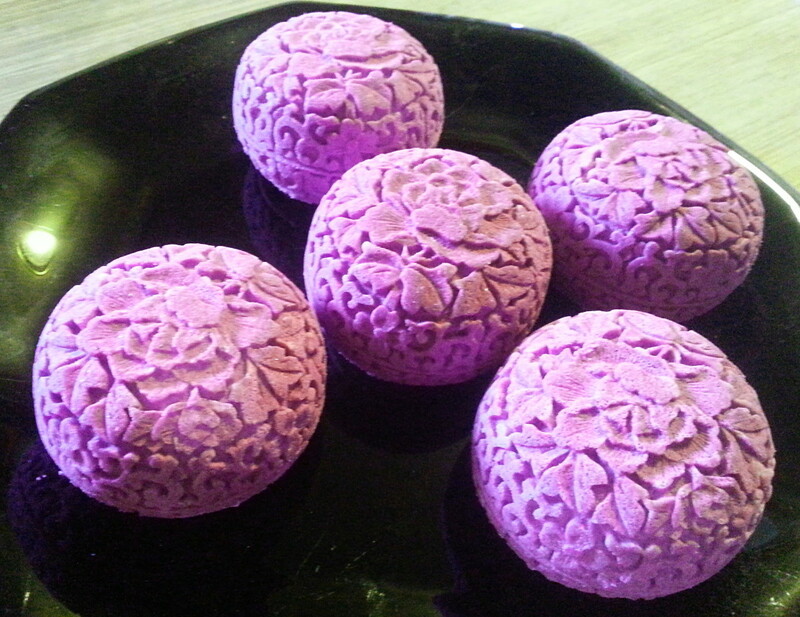 They are said to improve cleaning, improve the experience of bathing, and serve as a vehicle for cosmetic agents. Bath salts have been developed which mimic the properties of natural mineral baths or hot springs. Making one's own bath salts is a fun, easy-to-do craft. The project that can be enjoyed by crafters of all ages. This article will teach you how to make bath salts from both Epsom salts and Dead Sea salt, for yourself and to give as a gift. Table salt, or sodium chloride, is the chemical compound NaCl. Salt occurs naturally in many parts of the world as the mineral halite. The most common place in which salt is found is sea water.Table salt is used extensively in ground or granulated form as both a food seasoning and a preservative. This is one of the many sources from which one can order salt to be used in making bath salts. Epsom salts are made up of a naturally occurring mineral that is found in water. More properly known as magnesium sulfate, Epsom salts derives its popular name from the town of Epsom, England, where the compound was first distilled from water. Epsom salts are easily obtained at any drug store or supermarket. Inexpensive and versatile, the salts can be used for a number of different applications around the home. A purer form of Epsom salts can be ordered from companies that supply salt for the manufacture of bath products. Many of the applications have to do with expediting healing, as well as improving the quality of the skin and helping with basic grooming. The Dead Sea — 1280 feet (400 meters) below sea level — is the lowest natural place on Earth. The waters of the Dead Sea are very unique, having a total salt concentration that is 10 times higher than ocean water. The Dead Sea is 33% salt, and the oceans are only 3% salt. The composition of the brine is also unique — magnesium, potassium, and calcium chlorides, and a high concentration of bromides. Bath salts are easy to make —for your personal use and for gift-giving. 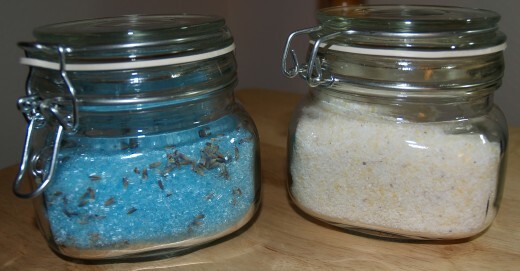 You will probably want to make two containers of bath salts at a time, one for yourself and one to give as a gift. Measure the salt and put it into a glass bowl. Add the colorant, a few drops at a time. If you purchase the primary colors (red, yellow, and blue), you can mix them to make whatever color you would like. Using a wooden or plastic spoon, mix the salt and colorant well. Add essential oil, a few drops at a time. The amount you add is a personal preference. Don't add too many drops at once. Using your spoon, mix the essential oil into the salt. Add botanical additives, if desired. A small amount is all that you'll need. Stir the botanical additives into the salt mixture. After all ingredients have been well-mixed, spoon your bath salt into a glass container that has an air- tight seal. Intended for use in melted and liquid soaps, bath salts, bath fizzies, body scrubs, or lotions. Highly concentrated plant extracts distilled from a variety of plant material including leaves, flowers, needles, fruit peels, grasses, wood and roots. Adds scent to your bath salts. Lemon essential oil was added to the Dead Sea bath salts recipe used by the author. Botanicals (dried herbs and flowers) that add scent and texture to your bath salts. Lavender flowers were added to the Epsom salts bath salts recipe used by the author. These are the ingredients used by the author. The choice of colorant and additive is up to you. These are the ingredients used used by the author. The choice of colorant and essentail oil is up to you. Thanks for stopping by and posting your comment. I bought the jars at a Michaels arts and crafts store. The lid fits very tightly, keeping all moisture out. Just stopped by to say how beautiful the jars make this gift idea pop! I do love a good soak with bath salts now and then. Thanks for reading my article and adding your comment. I especially like adding lavender flowers to my bath salt. The warmth of the bath water brings out the wonderful scent of the flowers. This seems like a fun project. Your instructions are so clear.Thanks for explaining the different types of salt. Rated up. Thanks so much for reading my article another time. You'll have fun making the bath salts. I bought the jars at Michaels, The Arts and Crafts Store. You need to use containers with a very tight seal, to keep moisture out. I've decided to give bath salts for Christmas presents this year. So, I'm back again to review your hub. Will be sharing as this is a terrific and inexpensive gift. Thanks for reading my article and posting your comment. With your background in botany, I'm sure you'll know a lot of additives to make your bath salts a special blend. Thanks for reading my article and adding your comment. Thanks, too, for sharing my Hub. This is such an easy craft. It's great for gifts and great to make for yourself. There's a link in my Hub to an online company selling Dead Sea salt. Look for the blue box in the column on the right. Bath salts will make great gifts, thank you for sharing this. Great idea for a gift. Voted up. I just love this idea! I've bookmarked so I don't forget how to do this. 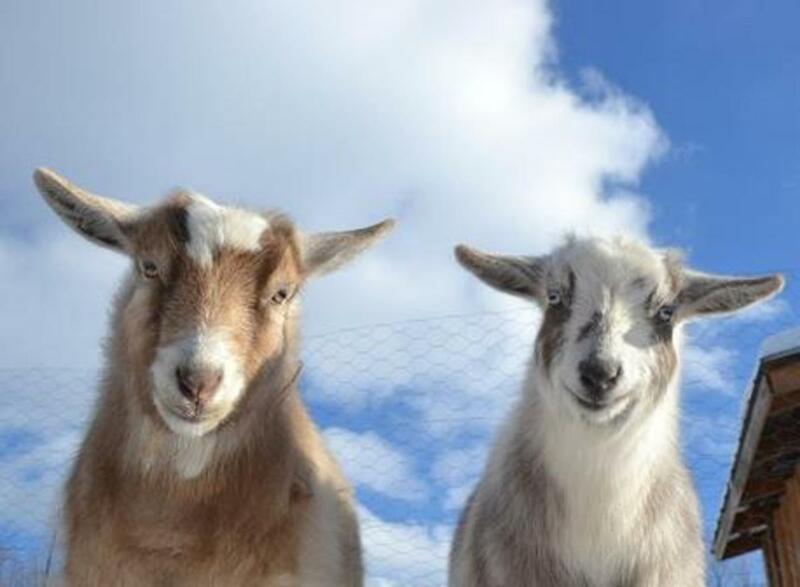 These would make wonderful Christmas gifts. It's nice to meet you. Thanks for reading my article and adding your comment. I'm glad you learned something new. This is very much amazing information and is something new to me. Thanks for sharing this unique hub. Thanks for reading my article and posting your comment. This craft is very easy. It takes just a few minutes to make a batch of bath salts once the ingredients are assembled. The most important thing to remember is to use a container with an air-tight seal. Daisy, I thought I had commented on this one earlier, but guess I forgot to hit the post button. Anyway, it is a lovely idea. Would love to make some for myself! Thanks for reading and commenting in my Hub. Thanks, too, for telling your friend about my article. 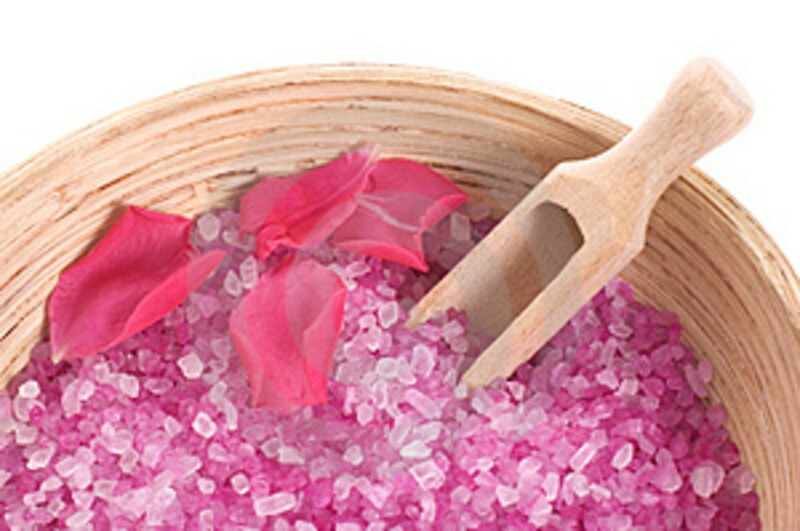 Adding essential oil to bath salts is a great use for the oil. A friend of mine recently bought some essential oil and wanted to know how to use it. This is a nice suggestion. I think I will share this hub. Daisy, keep on churning out these useful, little hubs. Voted up. It's nice to meet you. Thanks for reading my article and posting your comment. Making bath salts is such an easy craft project! The creativity is in selecting the essential oil and additive. Please post another comment after you've made some bath salts. Wow. This is much easier than I thought it would be. I see making bath salts in my near future! Thanks for the recipe and information. It's nice to "see" you again. Thnks for reading my article and commenting in it. Bath salts are a great gift for yourself and for others. Have fun making them! Thanks so much, great gift idea, just in time for the holidays! Thanks for reading my article and adding your comment. Please post another comment after you've made the bath salts. What a great idea. I will definitely give this a try! Thanks for reading my article and commenting in it. Bath salts are such a beneficial and easy item to make. It's wonderful soaking in a tub into which bath salts containing dried lavender flowers have been added. Thanks for the Christmas greeting. I wish the same to you and yours. I am grateful that you shared this as I missed it the first time around. This is an item I am anxious to try my hand at...I believe in the healing and calming properties of lavender so I will no doubt try that first. You have detailed this so simply and I feel even I could follow your instructions. Excellent job...Voted UP and UABI. Merry Christmas to you & yours. Thanks for reading my article and adding your comment. I'm going to be making some bath salts today. I've completely run out of both varieties. If you try my recipes, please post another comment. Daisy, this is a great hub and a wonderful idea for gifts. It's nice to meet you. Thanks for reading my Hub and commenting in it. Both cinnamon and honey essential oils are manufactured. Oatmeal is available as an additive, but a better use for it would be in soap rather than in bath salts. Very cool, I'd love to try this sometime with oats and some kind of cinnamon or honey extract... Do they make those? Thanks for reading my article, adding your comment, and sharing my Hub. This is such a fun, easy-to-do craft. You'll love the relaxing results! This looks like so much fun. I am going to try this. Thanks for sharing this with us! Voted up and shared! Thanks for reading my article, commenting in it, and sharing it. I've published several craft "how-to" articles. I think this is the easiest project of them all. Excellent hub. I never thought that making bath salts was so simple. Great ideas Daisy. Sharing it all over for people will simply love this recipe. 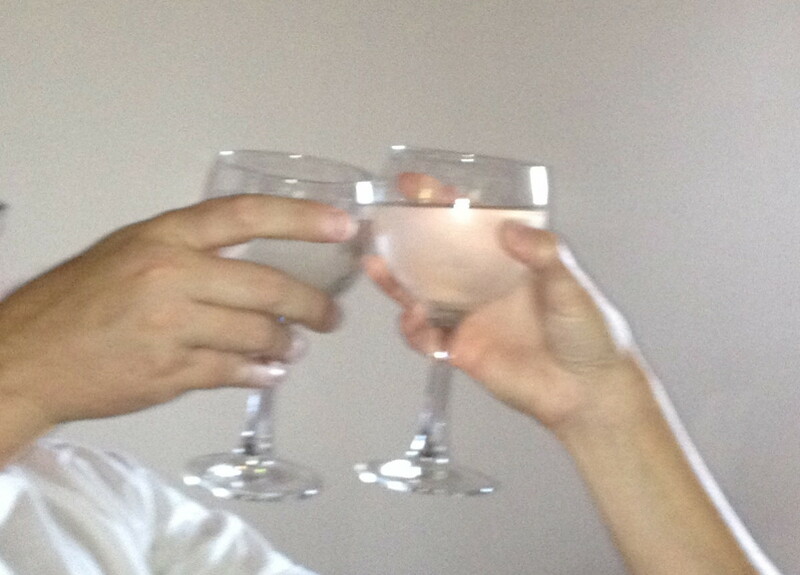 Cheers, Rema. Thanks for reading my article and commenting in it. I think that everyone has the same idea that you do...make enough bath salts to use at home, too. Great gift idea! I will reward myself a little with some too! It's nice to "see" you again. Thanks for reading my article, commenting in it, and sharing it. I appreciate your support. Thanks for reading another of my craft Hubs and commenting in it. Of all my craft "how-to" articles, this is the easiest project. I know you'll have fun making the bath salts...and using them. Thanks for reading my article and commenting in it. I purchased my Dead Sea salt from the company listed in the sidebar in my article. Epsom salts can be purchased in many supermarkets and drugstores. If you make your own bath salts, please post another comment. I love bath salts...it sure makes a good gift. I will share this interesting hub. I'm going to try this if I can find the dead sea salts. Maybe the local health food store.... Sounds easy to make. It's great to "see" you again. Thanks for reading my article, commenting in it, and sharing it. I've read the same thing about the Dead Sea. It must be a very unusual body of water. Wouldn't mind having a trip to the dead sea to collect my own sea salt. Apparently it has so much salt in it that you just float even if you can't swim. Nice hub and shared with followers. I think Epsom salts with lavender essential oil will be a great bath salts combination. Please post another comment after you've made the bath salts and tell me how you like the finished product. Thanks for reading another of my Hubs and commenting in it. Thanks, too, got sharing my article. I appreciate your support. 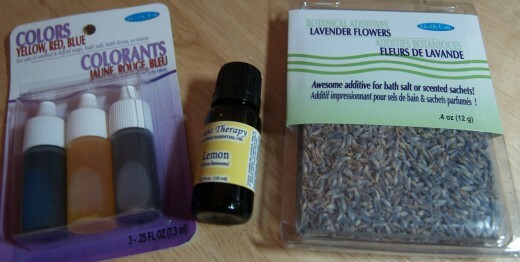 I'm going to try Epsom salts with lavender essential oil. What do you think? A fantastic idea - a lovely gift too! Thanks for visiting again. Are you going to try the Epsom salts recipe? Daisy Mariposa, epsom salts are available in Lima although expensive. Personally, I think they're worth the price. And I buy essential oils at anandaapothecary.com since they ship internationally. I have quite a collection! Even though the colored salts a pretty, I would probably just leave them colorless. As long as they smell good, that's enough for me! Thanks for reading, commenting in, and pinning my Hub. Please post another comment after you've made the bath salts and confirm how easy the project is. It's nice to "see" you again. Thanks for reading my Hub. I'm glad you enjoyed it. Are you going to try making some bath salts? I have got to try this! Thank you for writing this, Daisy! :) Voted up and Pinned as well. Voted up and sharing. This is really a good hub. It's so well put together and was interesting from start to finish. Great idea and fun! Thank you. It's nice to meet you. Making bath salts is a fun, easy-to-do craft. You always need to make a double batch. Even if you initially start out wanting to make batch salts as a gift, you'll wind up wanting to keep some for yourself. It never occurred to me that you could make your own bath salts. These would make great gifts and be a fun afternoon project! It's nice to meet you. Thanks for reading my Hub and commenting in it. 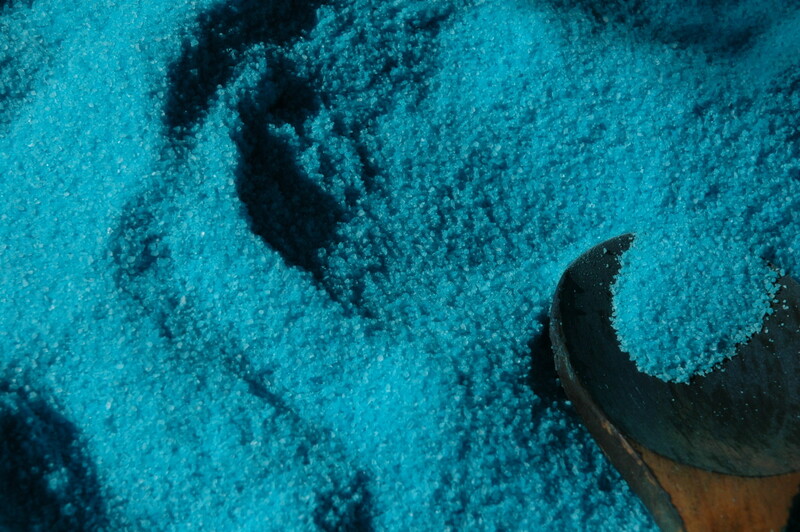 Are the supplies needed to make the bath salts readily available in South America? These are great recipes, for gifts or even for personal use! Thanks for reading another of my articles. Thanks, too, for sharing it. I appreciate your support. Thanks for reading and commenting in my article. A few people who commented have mentioned using baby food jars. Any glass jar that has an airtight seal will be OK for storing the bath salts. I purchased the jars pictured in the photo at the top of my article in a Michaels crafts store. Great school project for Mother's Day. My kids made these when they were little around Mother's Day. I think they used baby food jars but that was back when they came in glass jars. Thanks for reading my article. Soaking in a tub with bath salts added is a great way to relax. I used up my Epsom salts variety this morning. I'm going to make some more later today. This is a great Idea Daisy, thank you! 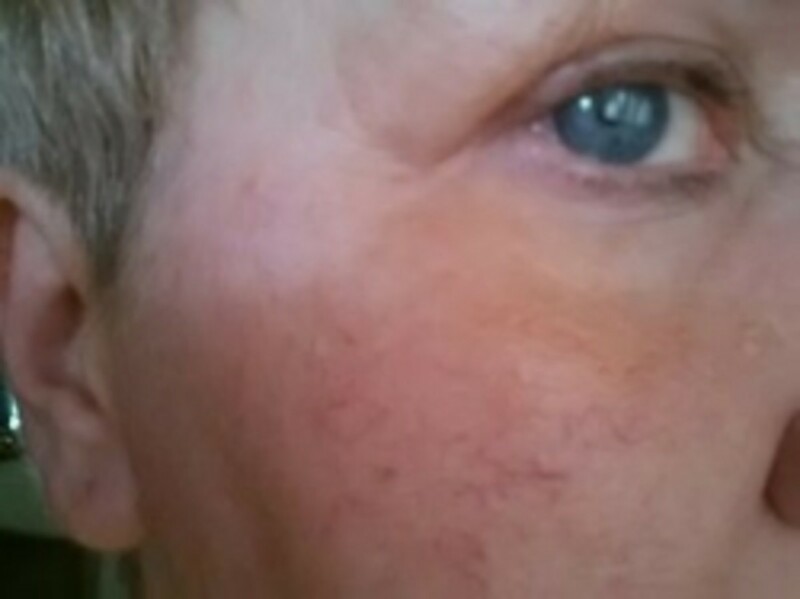 Thanks, Audra, for commenting in my Hub and sharing it. Are you planning on making some bath salts? Daisy, you are so crafty! You have given me a great idea! Thank you! Voted up and shared! Thanks for stopping by again. HubPages has created a new format for the Hubs published on its site. The first group of articles to be converted to the new format are those in the *Fashion and Beauty* category. All articles will eventually be converted by HubPages to the new format. That's very interesting how your 'related hubs' are laid out. I'm curious as to how you did this. Nicely done! Thanks for reading my Hub and commenting in it. It's unfortunate that the illegal drug should be given the same name as something so innocent as an additive to one's bathwater. If you try any of my legal recipes for bath salts, please post another comment. Daisy, (love your name, btw-it's my favorite flower and my birth flower), loved the hub but let me explain something: It's all in the title. Back in the mental health field the words 'bath salts' have a completely different connotation. They are a type of illegal drug that is hitting our culture and resulting in psychosis. Far worse than any LSD that ran through the 60's the psychosis can create permanent damage and great violence. I do love the recipe here, though and rated your hub up and interesting/useful. Good work here. Thomas, my friend, you're welcome to read and comment in my Hubs any time! PS...wonderful to "see" you too! I have been dealing with life stuff...it's good to be back! Thanks for reading my Hub. In addition to the bath salts being a great gift or shower favor, they're something you can make for yourself. I'm glad you enjoyed reading my Hub. Once the ingredients are assembled, it takes about five minutes to make a batch of bath salts. The important thing to remember is to store them in an airtight container. It's good to "see" you again. Thanks for reading and commenting in my Hub. What did you do with the Dead Sea salt you bought in the mall?...Or shouldn't I ask?!? A great gift or shower favor idea! Thanks for sharing! I think this is an absolutely wonderful hub. What a wonderful idea for a gift and for use around the home. I've always enjoyed making and receiving homemade natural gifts. Says so much! Thanks for sharing this info. This is one for my books! voted up! Great Job..voting every Up I can find under the new formatting here! Thanks for reading and commenting in another of my Hubs. I hope you try making bath salts. There are many benefits to adding them to one's bath. Daisy, this is an interesting and useful hub. Makes me want to try making some bath salts. Recipes look simple. Thanks for reading and commenting in another of my Hubs. If your wife makes the bath salts, please post another comment and tell us what she thinks of them. Bath salts are a great gift...for oneself and for others. This was really interesting. I think my wife will really enjoy trying this. Sounds like a real great gift idea. Please let us know what you think of the bath salts after you make your first batch. I know you're going to enjoy using them. Thanks for reading and commenting in my Hub. I love the scent of the dried lavender flowers in my bath salts. You must try them and tell us what you think. It's nice to "see" you again. Bath salts make a great gift, either alone, or as part of a gift basket. Don't wait until you need to give a gift to someone...make some bath salts as a gift for yourself. Great hub! I will definitely have to try this! I use my homemade bath salts primarily to soothe my feet. I love the idea of adding lavender flowers! Lovely! I package them in cellophane but the baby food jars are a really nice size too. What a nice idea! An original idea for a gift, well done Daisy! Thanks for reading and commenting in another of my articles. Making bath salts would be a great school project! Small baby food jars is the perfect size for your students to use. Have you ever used wine corks in a school craft project? I buy the corks in bulk and am currently developing some family project using them. Really great hub with wonderful explanations. I have made them before with my students for Mother's Day gifts, we used small baby food jars. I had forgotten about these and think that we may make these for teacher appreciation gifts this year! Nice job. Thanks for reading another of my articles. I appreciate it. Bath salts would be the perfect item to add to a gift basket. The craft is easy-to-do and doesn't require a ton of supplies and equipment. Please post another message after you've made some bath salts. This is so cool! I would have never thought to make my own bath salts and these would make a great addition to a gift basket. Thanks for showing me how to do this! Great hub - voted up, useful, and awesome! Thanks for reading my Hub and commenting in it. A tightly-sealed glass container of bath salts would be the perfect addition to your gift baskets. It's nice to "see" you again. I know you'll enjoy making the bath salts. After you've completed your first few batches, please let us know which essential oils and additives you used. It's very nice to meet you. I was honored that Vinaya Ghimire included my interview in his women HubPages writers series. I was even more honored that he published my interview on my birthday. If you'd like to read another of my articles, may I suggest one of the quizzes in my geography series? Thanks for reading, commenting in, and sharing my article. I very much like what you wrote; "I would love to receive this homemade gift from a friend so I know I would enjoy giving such a gift." Please post another comment after you make some bath salts. Are you going to make some bath salts? This is such a fun, easy-to-do craft. I know that there is a chain of arts and crafts store in Sweden, but I don't recall the name. I remember seeing the stores when I was living and working in Stockholm several years ago. Thanks for reading another of my articles. Are there any Michaels, The Arts and Crafts Stores in Ontario? I purchase many of my craft supplies at Michaels. After you make your bath salts, please post another comment. It's nice to "see" you again. Making bath salts is such an easy craft, yet there is a lot of room for creativity when developing your own recipes. I'm glad you found my article useful. You can customize each batch of bath salts for the person who will be receiving your gift. If you decide to make bath salts, please post another comment after you have done so. Thanks for reading and commentng in another of my Hubs. Dried flowers are often used as an additive in bath salts. In my Epsom salts recipe, I used dried lavender flowers. You could use dried rose petals instead in the mixture.